The Director for this movie, Mohd. 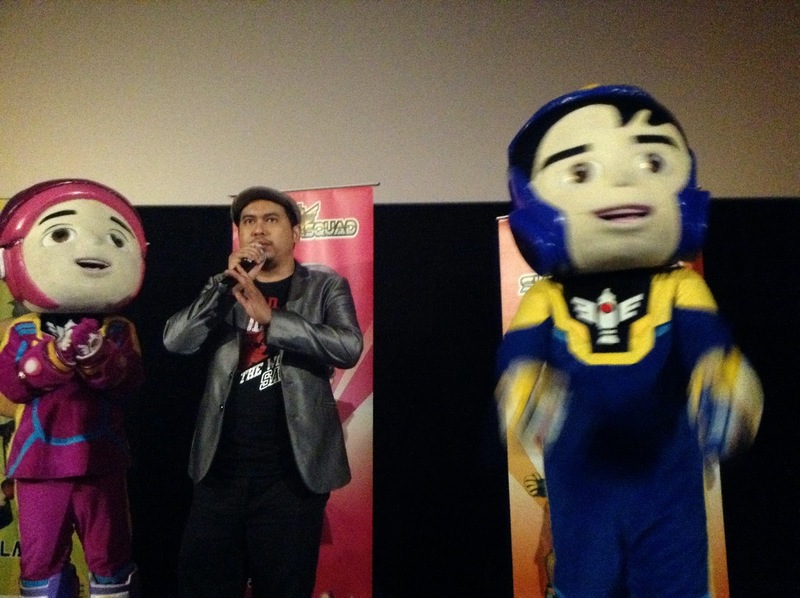 Rashdan Ramlee said this is his first directed animation movie and the purpose is to instill a good moral among the children especially on friendship that mostly forgotten at this generation. 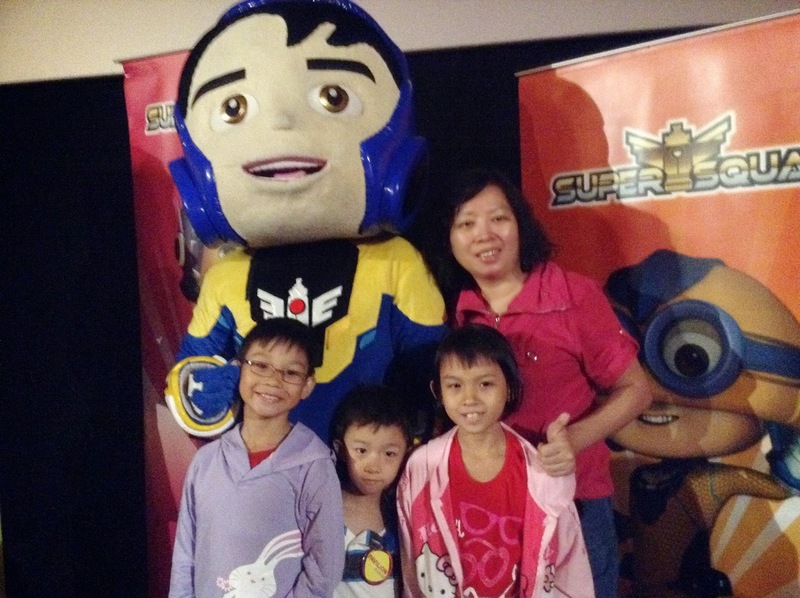 The friendship can be seen through 5 hero and heroine i.e. 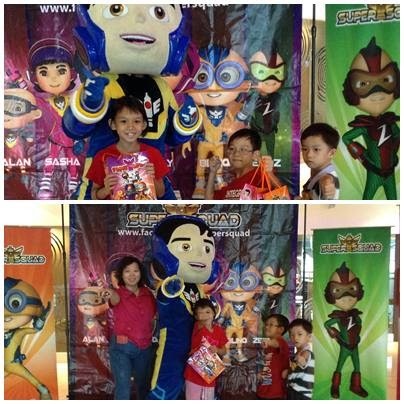 Kapten Danny, Elly, Alan, Sasha and Blinq as they fight to save the country and the world from the attack of the alien. The artist that involve for this movie are Aaron Aziz (Laksamana Aaron). 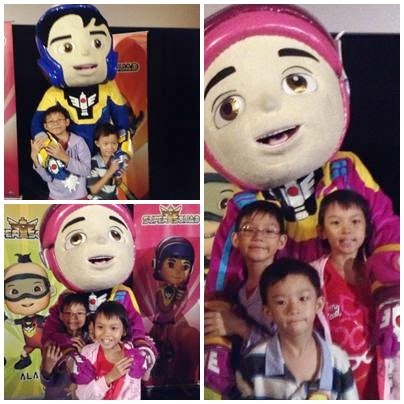 Dafi Sabri (Kapten Danny), Diana Danielle (Elly), Radhi Khalid (Blinq), Marina Tan (Alan), Elza Irdalynna (Sasha), Amaris@Amran Ismail (Mat & Dragon Lord), Megat Shahrizal (Zeeboz) and Maya Arissa (Ratu). Overall my children love this movie especially the boys as fighting was involve. 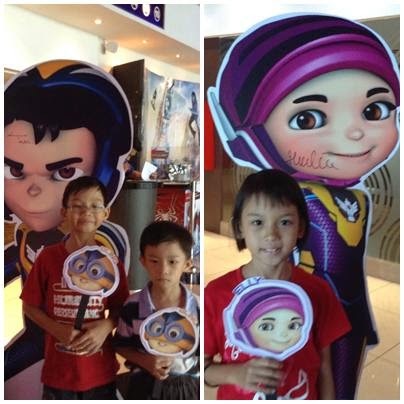 Thanks to Bro Framestone for the great movie day out with my little Angels. At least they learned something here that without friendship, they are nothing and with friendship, they can do anything that they want. Like what old people always said that you can easily broken a stick but if a few stick together, it is impossible for you to break it. PCL drop by here .. I do not realize you are a blogger too. 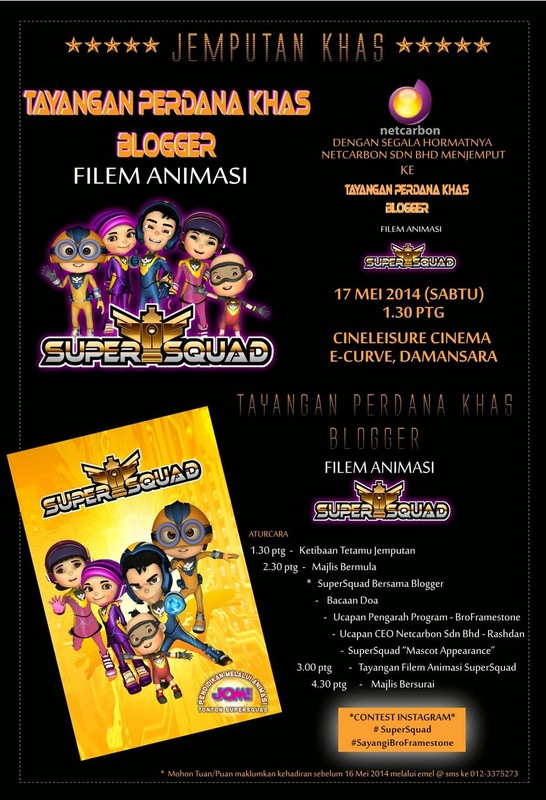 Nice to visit your blog... Supersquad hebat !